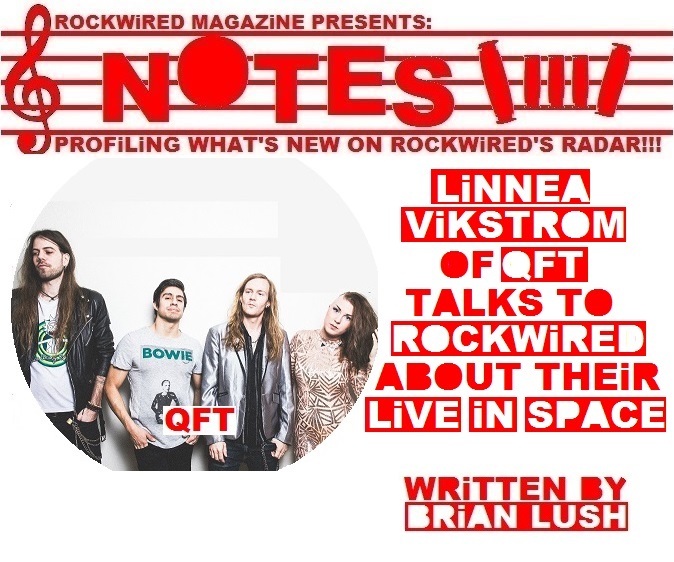 "ROCKWiRED NOTES: QFT | LiNNEA ViKSTROM of QFT talks to ROCKWiRED about their debut album LiVE iN SPACE!!!" hen I was a boy, heavy metal music was an escape from the math and science that was being forced on me by school. Heavy metal was that never-never land where schoolyard bullies and school didn't exist. There was no way in hell that headbanging and the scientific/mathematic mind were going to occupy the same space, but along comes LINNEA VIKSTROM who has made the curious decision to make math and physics the theme of the debut album LIVE IN SPACE from her new band QFT. By the way, QFT stands for Quantum Field Theory. Clearly my ninth grade science teacher was right when she said I would encounter this later in life. QFT is LINNEA VIKSTROM's first bold step outside of the band THERION - a band that she has fronted vocally ever since graduating high school. LIVE IN SPACE is a big album with a big sound and even bigger ideas. In a time when garden variety rage is informing much of what gets called metal these days, LIVE IN SPACE is a breath of fresh air. Or in this case, a breath of empty vacuum. 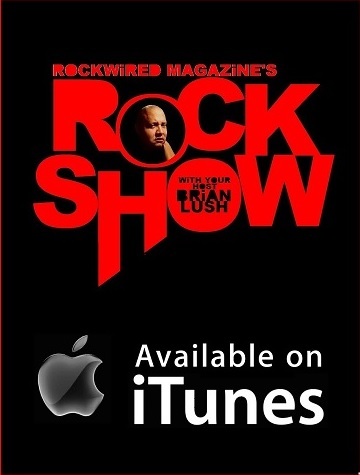 ROCKWIRED had the chance to speak with LINNEA VIKSTROM regarding QFT and their debut release. Here is how the interview went. 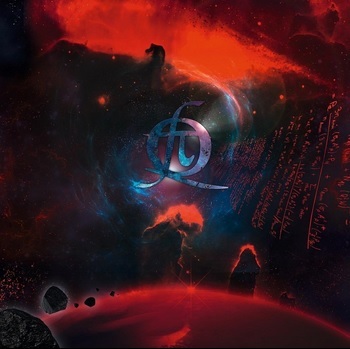 After years as the frontwoman of THERION, you are releasing your debut solo project QFT and the album LIVE IN SPACE - a rather ambitious album! Now that the release date is looming, how do you feel about the finished work? It feels a little scary to finally have it out there and showing the world who I am as a solo artist, but on the other hand it's quite a relief. It's feels great to finally let it all go after all of the time it took in putting the album togehter with all of the writing and the production and the mixing. It's a release in more ways than one. It feels great ot finally have it out there. Mathematic concepts and physics aren't the sort of themes that one would expect on one's debut release. What was the inspiration for incorporating those themes into this album? For me, this concept for this album wasn't that obvious because I hated that stuff when I was in school. I despised math and physics, but when I was older those concepts began to stumble into my brain and I can't figure out how it happened. Now, I'm sitting her with all of this mathematical and scientific stuff. If you had told me 15 years ago that my first album was going to be about space and physics, I would've said "Ha-ha-ha!!!" The concepts became easier for me to understand when I stumbled on some internet stuff. As I was working on the album, I would go back to the source because I wanted the material to be scientifically accurate. DISCOVERY CHANNEL has a YOUTUBE channel that talks about all of these topics and I fell in love with it. I watched it day in and day out. There are so many things on the internet that can explain these principles better than any of my teachers in school ever could. I couldn't think of a release like this getting rolled out without a music video. Are there any plans to do so? Absolutely! My brain has been working overtime to make sure that this can happen. I want it to be huge, but its all a matter of finances. I want to see what I can do with the budget that I have now. I want the visuals to go hand in hand with the subject. It would feel weird to go in and do a performance video when you have concepts and ideas as big as the universe to play with. This is a really bombastic subject, so there are absolutely going to be some music videos. We'll see what happenes. I really want to bring them to life for this album. How do you think that fans of THERION will embrace this release? It's completely different from THERION but I wouldn't say that fans of THERION wouldn't appreciate it. If you're a fan of THERION, you'd have to to expect new stuff all of the time. THERION fans are always open to new things and are very open minded. What was your professional experience before THERION? Before THERION, I was in high school, so THERION was my first professional job and the whole experience has been a privilege. Something like this doesn't happen everyday. I'm so grateful that I've had this opportunity. Before I started with THERION, I was into a lot of musician's music. 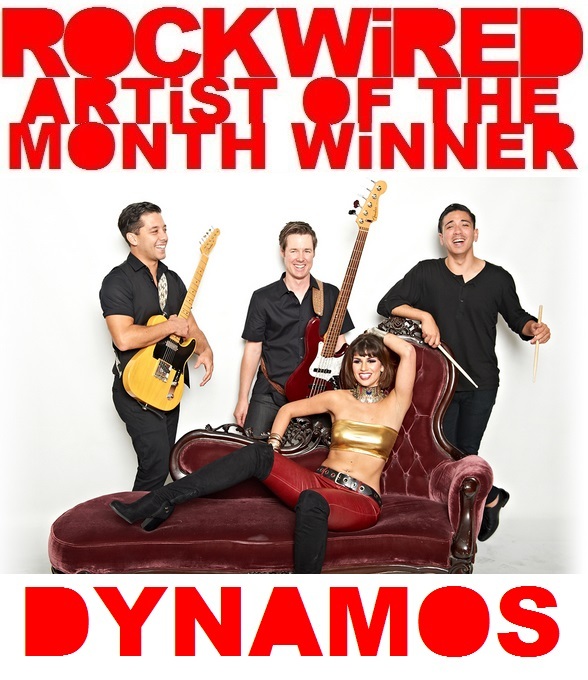 I think it is what you would call progressive rock. I've listened to so much music and have done so much music. I also did a lot of musicals when I was a kid and with every interview I've done up until now, this has never come up. When I was six years old, I was in a production of ANNIE. That was actually my first paid job when I was a kid. After that I was in a lot of musicals. I think you are the first journalist I have ever told that to. Right now, how does it feel to be away from THERION and making this bombastic msucal statement on yoru own? It's never been about getting away from THERION. 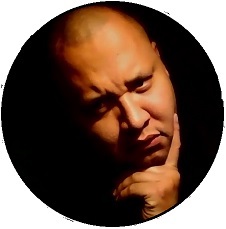 It's about me exploring who I am as a songwriter and a singer. With THERION, the songs were already written so there weren't a lot of opportunities to explore who I am. This album has come out at the right time for me. If I had done this when I was eighteen, it would've been a completely different album for me. The timing for this album is perfect. Who all helped you behind the recording console for this album? The man behidn the console is LENNART OSTLUND who has worked with LED ZEPPELIN and ABBA. He has worked with some really big names and for him to be behind the console is a huge honor. He has built this new studio and we were the first ones to be able to record in it. It was an amazing experience. Who all makes up QFT? 90% of it is me. The guys who are playing on the album include the drummer from DYNASTY. His name is GEORG HARNSTEN EGG. The bass player from DYNASTY also played with us as well. His name is JONATHAN OLSSON and the guitar player is MANO LEWYS. We also had a bunch of guest solo guitrists and keyboardists to come in and fill out the sound. And what is the roll out for this album going to look like? So far, we've released two singles. The album is set for a May 4th release. So far the response to the album has been great. I certainly had no expectations for what kind of response that the album would get but I'm happy with what people have said. It's good! Describe the songwriting process for you. How do you go about it? It's different from song to song. It could happen by walking down the street and a melody gets into your head and you pick up your phone and record it. Then, you go home and and start building onto that one idea until a full song emerges. With other songs, you sit down and write the song and see what happenes. It's very different every time. With that being said, what song off of the album stand out for you the most and why? That's a good question! I'd have to say the first track END OF THE UNIVERSE. It was the first song written for the album . It sets the tone for the album and it stands out a little more for me and I can't really say why. It's just a feeling. It's like the true embodiment of everything that I've learned throughout the years. Any plans to tour for this album? Any plans to come Stateside? We've got some plans but nothing that we want to share with the public yet. There is definitely some stuff in store. As far as the States go, I want to get there. Over the years I've been to a lot of countries but for some reason, I have this feeling that the music I'm doing now is really going to resonate in the States more than any other place in the world. What would you like for someone to come away with after they hear this album?